FedEx Express Executive Vice President and CFO Cathy Ross remembers as a small child “whites only” bathrooms and not being allowed to sit at lunch counters. But, she has never used her skin color or gender as a crutch. The daughter of a farmer and second-grade teacher, who was one of the first African Americans to teach white students, comes from humble beginnings. Ross drove a tractor, was a member of 4-H and raised chickens during her childhood in Henderson, TN. She credits these experiences with making her the woman she is today. 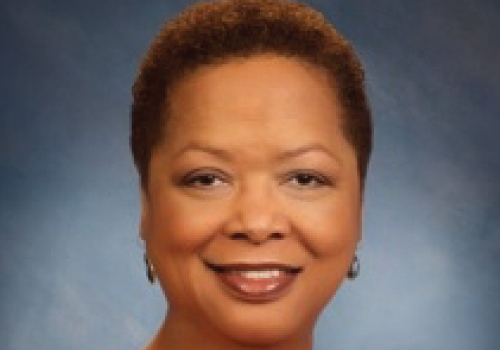 Ross began her career with FedEx in 1984 as a senior financial analyst. After taking on a number of different jobs within the company, she stepped into her current role – where she oversees the worldwide financial affairs of FedEx’s largest operating company. She manages thousands of finance professionals throughout the U.S., Asia, Europe, the Middle East, Canada and Latin America. Ross earned a bachelor’s degree in accounting from Christian Brother’s University in Memphis; graduating at only 20 years old. She went on to obtain her MBA in Finance from the University of Memphis while working full time. A career in finance was not always her dream, however. Initially interested in medicine, a disastrous meeting with a laboratory pig set her on a different path. Named one of Black Enterprise magazine’s 100 Most Powerful Executives in 2012 and 50 Most Powerful Black Women in Business in 2010, Ross has forged a path for female minorities in her field. Additionally, she has received FedEx’s most prestigious employee honor, the FedEx Five Star Award, seven times during her tenure. Ross serves on the board of directors for Steelcase, Inc. And true to her hometown roots, she has been on the board of the Women’s Foundation of Greater Memphis and the Memphis Food Bank and now is on the board of The National Civil Rights Museum in her quest to serve the communities that shaped her success. 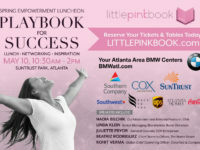 Little PINK Book: How has being a female minority effected your career growth? Cathy Ross: It really hasn’t affected it at all. Oh, I’ve had brief, individual incidents where someone may say something or something may happen. First you confront it; then, you dismiss it, put it in a capsule and move on. Something like that isn’t going to cause me to stall in my career or life. LPB: What was the key to your success at FedEx? CR: I work for an organization that values creativity, decision-making and innovation. We were growing at a tremendous rate when I joined the company and we really needed people who could step in and solve problems. I stepped in and produced work which gave value to the organization. I was a senior financial analyst, so I immediately interfaced with executives and got the opportunity to be heard. We aren’t bound by the normal hierarchy. If you had something of value to say, you were welcomed with open arms, that was how I made my mark in the organization. LPB: What personal qualities do you possess that you feel helped your career? CR: I had a curiosity about things but I always was prepared. I never walked into a setting without having considered possible outcomes and being prepared. I have the ability to evaluate a situation and its intangibles and deal with it effectively. My success is from dealing in logic and the ability to take a problem, surround it on all sides and put it in a box in a manner which makes the solution set clear to all. I listen to others; but I do have a point of view and take into account many perspectives to crystalize my point of view. LPB: Why do you think female minorities continue to lack of opportunities for advancement? CR: I believe how we view a situation is how it will turn out. If we visualize or believe we will not be heard or not have an opportunity, it will become reality. We need to visualize the outcome we want. If you think you’re not being given an opportunity, step up and observe others. What are they doing, or not doing, that is giving them those opportunities, then adapt and change. LPB: Do you think having a successful career as a female minority hindered you from success in other areas of your life such as getting married and having children? CR: It’s not like I gave up a personal life for my career. I have an active social and personal life and have thoroughly enjoyed my life. I want my legacy to be more than what I’ve done with FedEx. I want to leave some small portion of the world better because I’ve been here. Ultimately, that’s what matters.